It's April in east Tn. It will change. A good evening for inclement weather practice....not so much for the fans..
Looks like it might not be raining during the game. It should rain in the morning, then the afternoon should be fairly clear, with it raining later in the night? We will see. Who cares? It's Tennessee football! Uggggghhhh...........the one time its not at 2 pm'ish gametime...........guess I'll have to have 2 tv's going so I can watch the preds game at 6 too. GO VOLS & PREDS!!!! Really? They seem to be pretty much on it these days. EVEN predicting "Rain Of Biblical Proportions " 3 days before two of the last three hurricanes hit Houston & the Carolinas. How they knew those storms were going to just sit still is rather Uncanny; to say the least. Did you know our Government (and others also) have been experimenting with weather control for decades? Looking like they are making progress. WESLEY?? LOL. I remember the days when every storm wasn't named; only Hurricanes. I'm not too keen on getting to know these "Events" that cozily. Geeze. Man, this makes for some potential disappointment. My son and I will be driving down from PA, Friday night Saturday morning. Will be his first Neyland experience, and my first since I was probably 12. WESLEY?? LOL. I remember the days when every storm wasn't named; only Hurricanes. I'm not to keen on getting to know these "Events" that cozily. Geeze. It's media-hype in every aspect of our lives - political ("Trump / Russia"), sports (off field/court player conduct / any game with meaning), social events (weather) & entertainment (primarily movies). Anything and everything to boost ratings. I took off work today for a daddy daughter donut day and took off tomorrow so my wife and I can drive up a day early from west TN. Looks like it will be raining on the drive up, as well as on the way home Sunday. I just hope it holds off during the game and doesn’t lightning anywhere close to the stadium. Exactly, so take your winter clothes and prepare for a blizzard!!!!! It's gonna be the orange n white snow bowl!!!! A whole day of eating donuts? Maybe it's a good sign; I was there in 98 and wasn't so great. 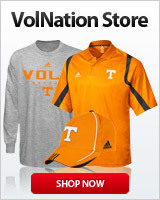 Good news for the Vol faithful! I will be there... it will make the 4th time that I have attended an Orange and White game. I also went in '97, '01 and '04 and Tennessee went on to win the SEC East each of those following seasons. I think I am the charm. This weather begs the question..will it help tennessee win or hurt their chances??? Will be ok as the evening progresses. Stop all the gloom and doom. Stop with the weather bs.. Come out to the game. Will be fine by evening. Weather, I know not. But here's what Jeremy says about the format of the O&W game. As for the players, Pruitt announced on Tuesday that the Vols will break into two units for the Orange & White Game: the first-team offense with the second-team defense against the second-team offense with the first-team defense. Each side will get around 65-70 plays, according to Pruitt. When asked which unit or players he will specifically be focused on during the game, Pruitt didn’t offer up much insight on any individuals.